Nothing beats a refreshing glass of lemonade in the summer. But if you’re looking for additional fruity flavors with a little extra kick, this recipe for boozy blueberry lemonade should do the trick. 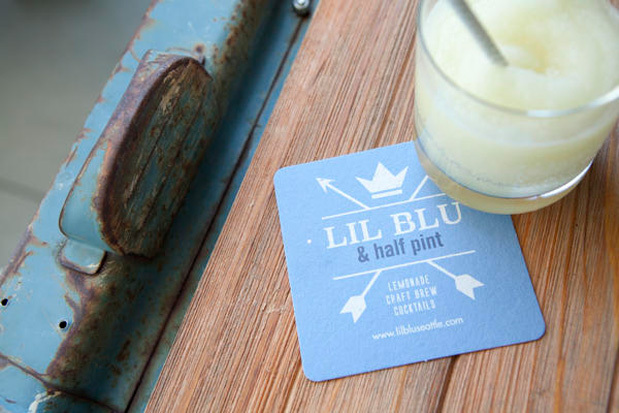 Local mobile dining business Mobile Mavens, which operates the mobile bar Lil' Blu among other wheeled wonders, puts a grown-up spin on the tangy beverage with a blueberry-infused vodka. Mobile manager, Toby Kremple, recommends using vodka from Woodinville Whiskey Co. or Oola Distillery. Read on for the full instructions on how to make it. Pour the entire bottle of vodka in a glass or porcelain container. Add the blueberries. Cover with a lid, and let the mixture soak for 3 days at room temperature. Once the flavor of the blueberries has thoroughly infused into the vodka, strain the blueberries and pour the vodka back in its original bottle until ready for use. In a medium saucepan, combine the sugar and water over medium heat. Bring to a boil, stirring occasionally until sugar has dissolved. Remove from heat and let cool completely. Once cooled, stir in lemon juice. Pour into a large freezer-­safe container and seal with a lid. Carefully transfer to freezer. Freeze until solid. When it’s completely frozen, move the container to the refrigerator to soften about 4­6 hours, or overnight. Remove from refrigerator and scrape with a fork into a blender or food processor. Aerate the mixture by pulse blending until smooth. Keep cold until ready to serve. Pour or spoon 6­8 ounces of frozen lemonade into glasses and top with 1 ounce blueberry vodka. Serve immediately.